An Israeli pilot has died and a navigator has been injured after the fighter jet they were flying crashed on its return from a mission over the Gaza Strip. The pilot was later identified as 34-year-old Major Ohad Cohen Nov, who had only recently been appointed squadron deputy commander. The incident occurred on Wednesday, as both crew members ejected from the plane, which came down in flames, according to Israeli news site Ynet. While an investigation is ongoing, it is believed to have been caused by a technical glitch, rather than enemy fire. 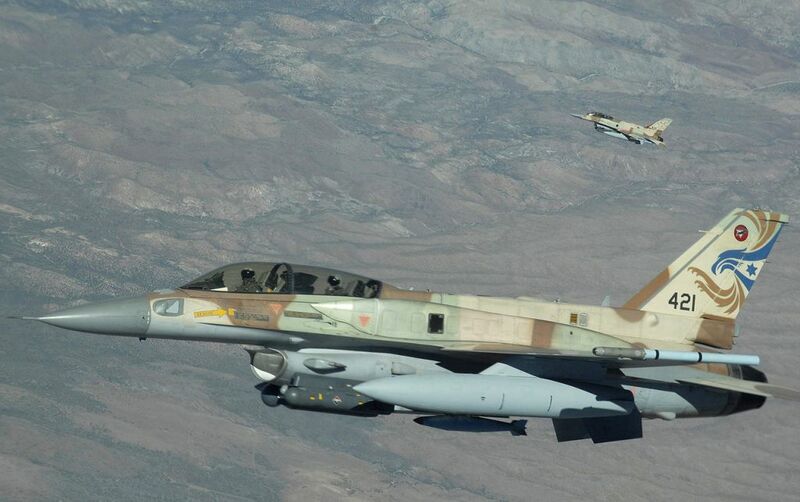 The F-16 was approaching the Ramon Airbase in southern Israel, following the Gaza sortie, when the jet came down. The Israeli Air Force tweeted that the pilot’s death was “as a result of the ejection”. They were returning from an attack on facilities in the Strip after a rocket was fired from Gaza towards the southern Israeli town of Sderot, landing in a residential area. No-one was injured, but two residents were taken to hospital with shock. The IDF responded from the air and ground, with tanks and jets firing on Hamas positions. Footage from the Strip showed smoke billowing into the sky, with observers saying at least one civilian had been injured.